A first mother’s day is a pretty special thing. Last year at this time I wasn’t even pregnant yet (days from it but not just yet). I remember thinking I wonder when I will be able to call myself a mom. We had just kind of though about going for it and I wasn’t sure how long it would take us. I had little expectation. Though it happened quicker than we expected, I was ready more than I knew. Now, here at almost 3 months into the process of caring for our little guy, I have such respect and understanding for every woman who journeys this path in any way she so ends up wandering the path. It is a beautiful thing that stretches you, grows you, and teaches you so many things about yourself, your marriage, and about what it means to be a human. There is no doubt that Mother’s need to be celebrated. So whether you are trying to become a mom, just found out you will be one, or are a mom you deserve to be celebrated next Sunday. 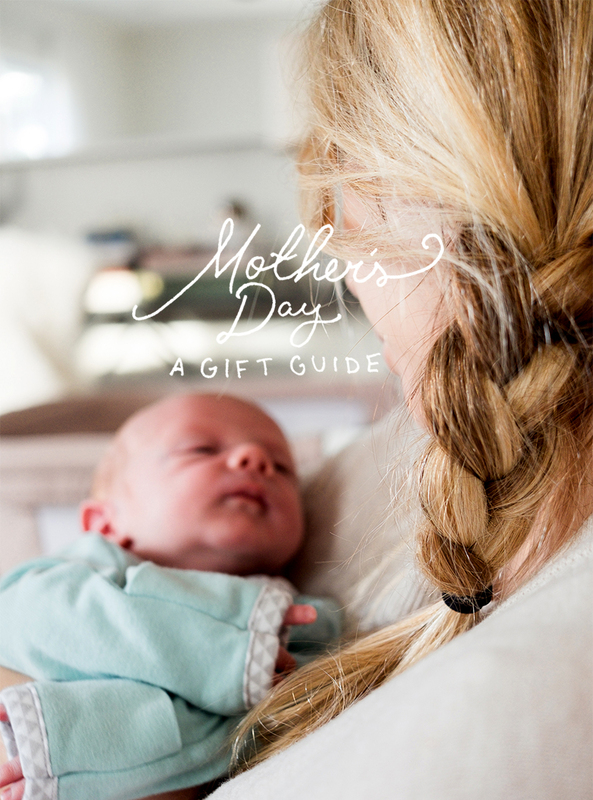 I gathered up a few things that I think are the perfect gifts for any mom out there. 1. Fresh Flowers: I love Farmgirl Flowers. They are sustainably grown and absolutely gorgeous. I think it is hard to find bouquets that aren’t cheesy and these are far from it. 2. A Candle: This one from 42 Pressed is well designed and smells amazing. I am a sucker for anything that smells like the California coast, what can I say? 3. A Journal: This journal is so amazing to look through and any mom would love to have this. To write and share stories with your child to read later in life is really meaningful and you know how I feel about meaningful gifts. 4. Lotion: It may sound cheesy, but now as a mom I understand how important it is to feel cared for. You spend all day taking care of everyone else so to have things that remind you celebrate yourself is really important. 5. Photo book: Even if you cannot get it to her in time, at least gift her a gift card to make her own of her choice. I love this one from Artifact Uprising for your Instagrams. Plus the inspiration of Year One being the theme is a heart stealer to any mom. 6. Something Special: I spend most of my shopping time and money on things for Hayes these days so to receive something I wouldn’t buy for myself means the world. Hatch Collection is a perfect gift for any woman who is trying, currently, or thinking about it again stages of life. 7. Coffee Maker: I have never appreciated coffee more than ever. We make it a ritual to make our morning cup. Mike makes it while I finish feeding Hayes and then we all sit around and enjoy it together as a family of three before little guy hits his first nap of the day. 8. Linen Sheets: The ultimate luxury! No seriously! If I could I would have everything I sleep in be linen. When I was in the hospital I literally dreamt about my linen sheets. There is nothing softer or more comforting than slipping into these at night. Yes there have been moments of spit up on them, but they wash up well and that’s the important part. 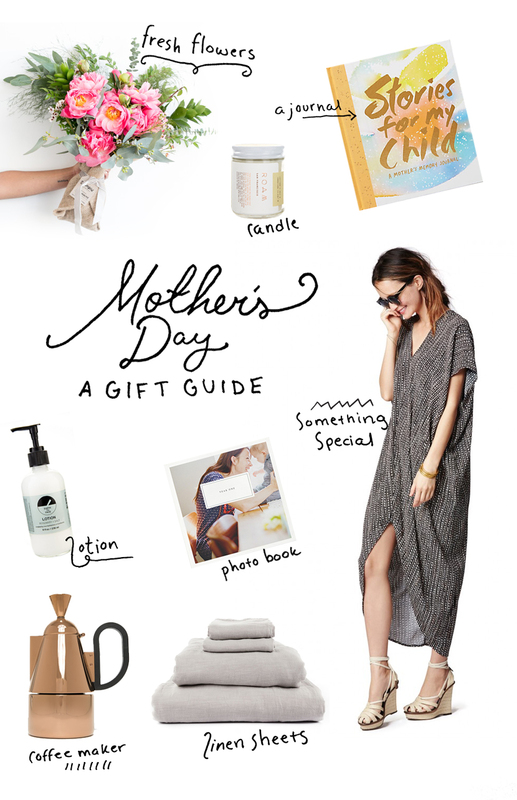 What do you think the perfect Mother’s Day gift is? Great picks! I hope you enjoy celebrating your first mother’s Day! hehe yeah babies cost money 😉 haha the amount we spent once he arrived cause of all the things we got to try out. It is nuts. we spent $50 on swaddles alone int he first few weeks. They are little houdinis.